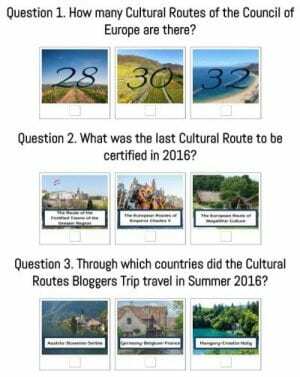 The Council of Europe’s European Institute of Cultural Routes (EICR) advises and evaluates 32 ‘Cultural Routes’ which span Europe. Ginger Juice was delighted to be chosen to deliver a special 6-month social media project during a rigorous selection process. The far-ranging project has been a complete success with all objective reached or surpassed. 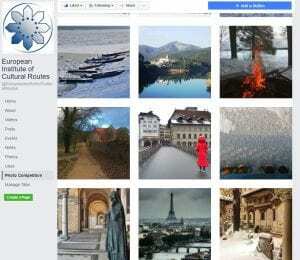 1,700+ entries from all 42 Council of Europe members states including Lichtenstein! 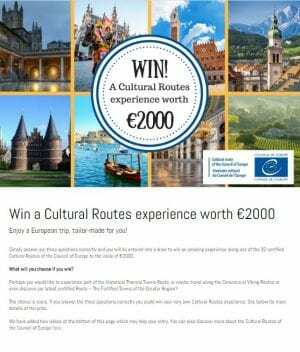 I had the opportunity to work with Bruce Martin during 6 months, as Ginger Juice was the best provider selected through a call for tenders for the implementation of a digital marketing campaign to promote the visibility of the Cultural Routes of the Council of Europe. Bruce and his team demonstrated the utmost professionalism, responding to our needs as closely as possible and proposing excellent and innovative solutions with an amazing reactivity. Most of all, Bruce is passionate about his work, he produced results that exceeded our expectations in terms of online visibility. I warmly recommend Ginger Juice and their web marketing products without hesitation.